This war-time propaganda fictional film is broadly based on the story of Tani Yutaka, a real-life Japanese born in Terengganu who became a secret agent for the Japanese military. In the film, Tani Yutaka’s youngest sister is a victim of anti-Japanese riots by the local Chinese residents following the Japanese invasion of the northern part of China (Manchuria) in 1931. Tani Yutaka then becomes a heroic outlaw after assaulting a British police chief who sides with the Chinese conspirators who murdered his sister. He eventually adopts the ways of the Malays and is nicknamed “Harimau” (Malay word for “tiger”) during his days as a guerilla leader along the southern Thailand border. The Japanese military intelligence agency later engages him to conduct sabotage operations in British Malaya. He dies after sustaining injuries during a mission at a river dam that is controlled by British troops. 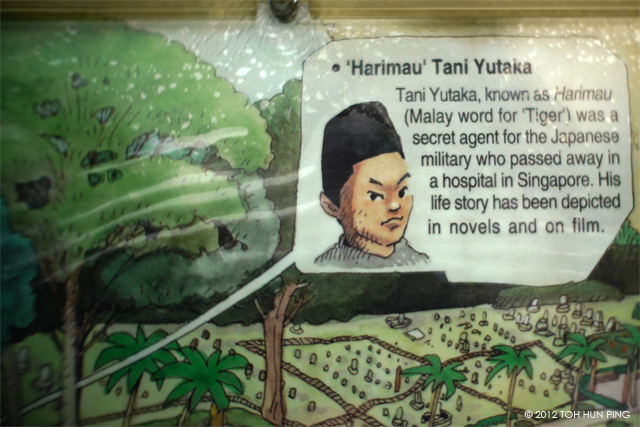 Tani Yutaka, the “Harimau” of Malaya. 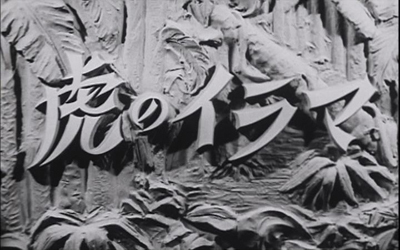 Acted by Koji Nakata (中田弘二). The premise of the film. 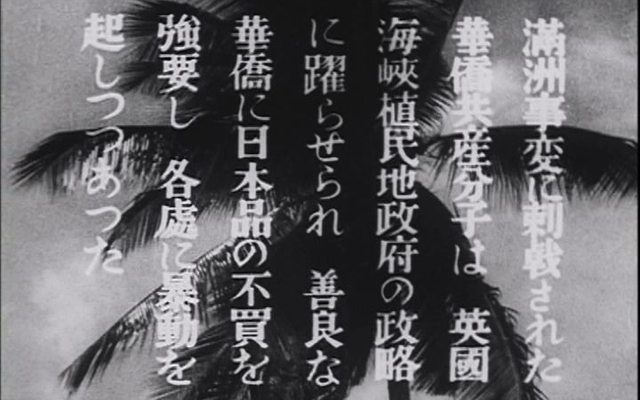 I can render a guess for the meaning of this passage using the Kanji characters: 滿洲事变 – Manchurian Incident; 華僑共產分子 – Overseas Chinese Communists; 英國海峽植民地政府，政略 – Political strategy of the British government of the Straits Settlements; 善良，華僑，日本品，不買, 強要 – Kind Chinese commoners forced to boycott Japanese goods; 各處，暴動 – Riots against the Japanese are rampant…. “The Tiger of Malaya” was deemed to be a major production of the newly established Daiei Film Company, so the filmmakers probably had the means to conduct (outdoor) location shoots across multiple places and countries. I was able to identify locations in Singapore, Malacca, Kuala Lumpur, various parts of Malaya, and Tokyo — some of which were chosen to “masquerade” as Kota Bahru, where the film narrative is set. 1. Jalan Kampung Pantai, Malacca? In the film narrative, Tani Yutaka lives in Kota Bahru, British Malaya. It is the 7th year of the Showa reign, autumn. Chen Wen Qing, one of the instigators of the mass boycott of Japanese goods, walks down a street in Kota Bahru Chinatown. 2. Malaya Photo Store. South Bridge Road. Chen Wen Qing is keeping tabs on the ongoings in this shophouse, which is owned by a Chinese businessman who colludes with the Japanese to import cheap Japan-made products into Malaya. 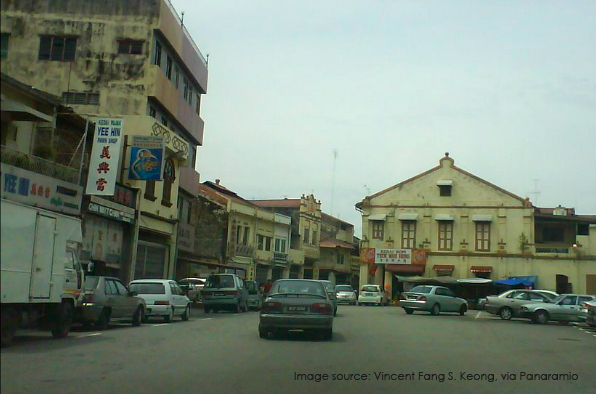 On the list of Japanese residents of Kota Bahru to be threatened by the Chinese mob – Tani Yutaka (谷豊), a barber (理髮業) who lives on Victoria Street. 4. Beach in Singapore or Malaya. Tani Yutaka takes a walk on an idyllic beach with a friend from the Japanese Club — Yasuda, a civilian businessman who is also working for the Japanese military intelligence agency. In other words, a Japanese spy. Yutaka and Yasuda walks into the distance, on the coconut tree lined beach. 5. Jalan Kampung Pantai, Malacca? The Chinese mob, out to sabotage Japanese-run businesses. Jalan Kampung Pantai. In more recent times. Yutaka’s youngest sister, Shizuko, is seen walking alone in the streets when the Chinese mob is out ransacking Japanese shops. She will later be murdered by Chen, one of the instigators of the mob. The aftermath of the attacks by the Chinese mob. 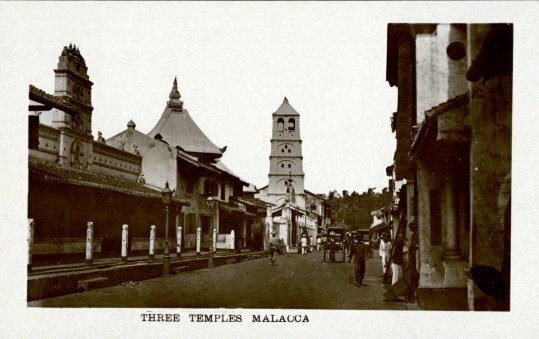 This photograph from the 1910s shows two religious places of interest on Jalan Tukung Emas, Malacca — Sri Poyatha Moorthi Temple and Kampung Kling Mosque. The third temple — Cheng Hoon Teng Temple — is on the same street but is located beyond the trees in the photograph. A 2011 photograph of the same street, now also known as “Harmony Street” to celebrate the co-existence of the religious grounds of three different faiths. 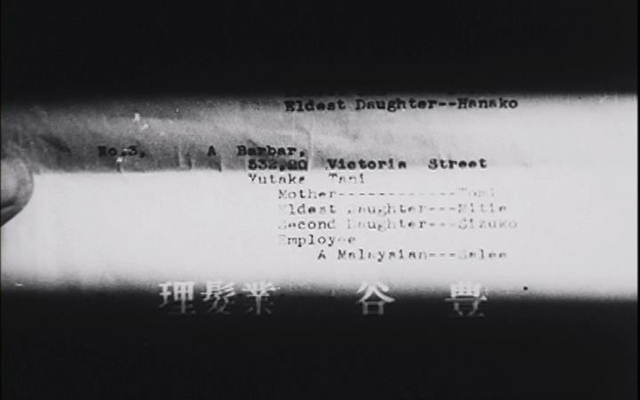 How ironic that the Japanese filmmakers of “The Tiger of Malaya” chose to use “Harmony Street” in a scene that represents the desolate street conditions after the violent inter-racial riots and mobbings in the film. 6. Orchard Police Station, masquerading as Kota Bahru Police Station. コタバル警察署 – Kota Bahru Police Station. Tani Yutaka seeks justice for the murder of his sister Shizuko by Chen Wen Qing at the local police station. 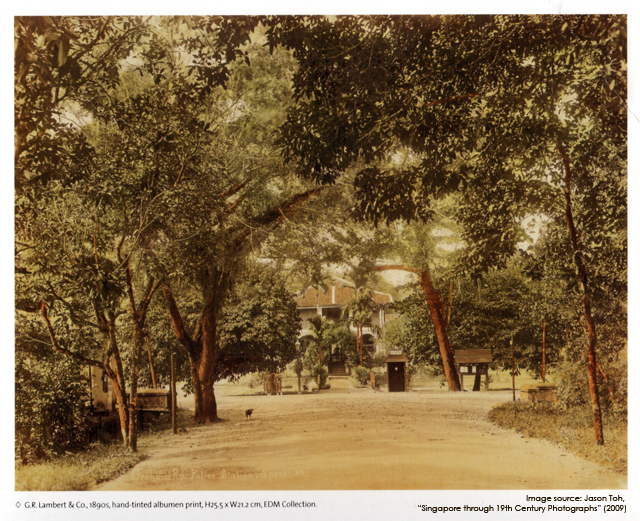 A 1890s hand-tinted photograph of the Orchard Road Police Station. Photograph was captured from Scotts Road. From the National Archives of Singapore. 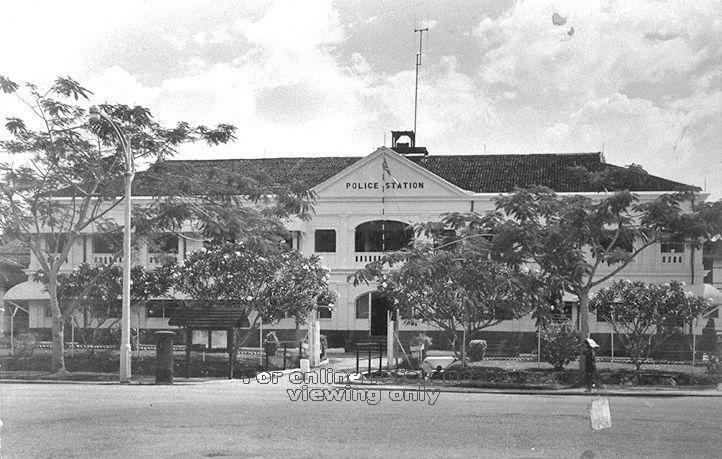 Orchard Road Police Station in the 1950s. From the National Archives of Singapore. 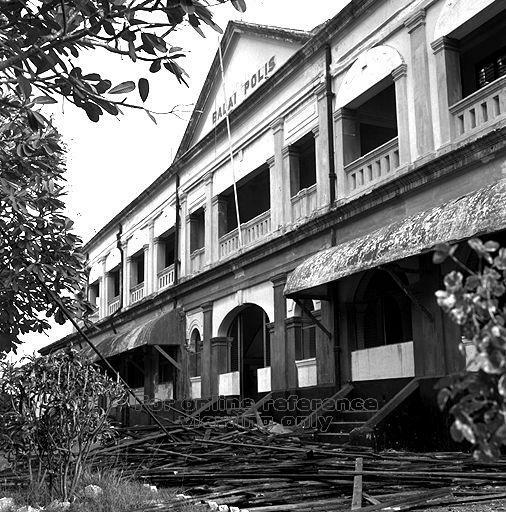 The Orchard Road Police Station is finally demolished in 1967 “as part of Singapore’s urban renewal project”. 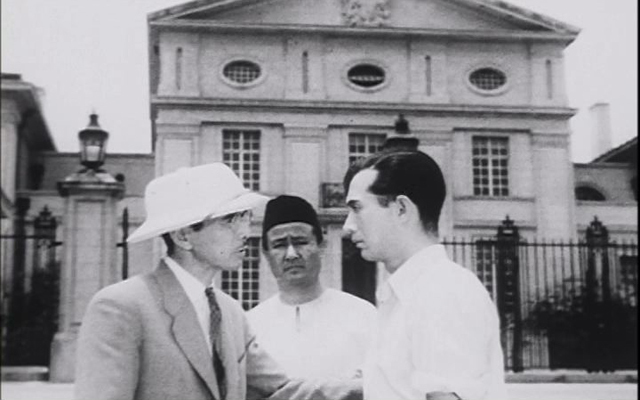 After being reproached by a British police officer who is not willing to grant them a meeting with the Police Commissioner, Yasuda, Yutaka and Sari (Yutaka’s Malay servant) leaves the police station and walks past a British colonial building. 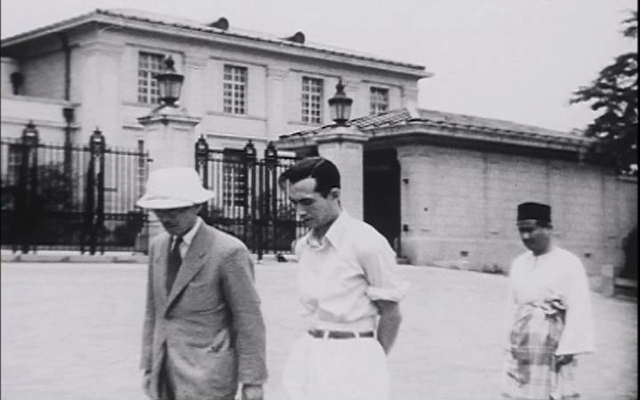 They stop in front of the colonial building (with the UK Royal Coat of Arms mounted on the pediment) and Yasuda urges Yutaka to return home as he departs to attend to other matters. Instead, Yutaka decides to return to the police station and seek redress for Shizuko’s death with the Police Commissioner again. 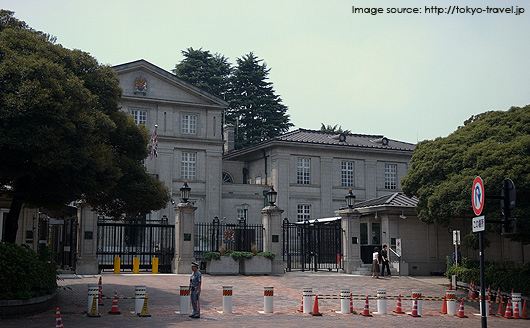 The British embassy in Tokyo, still functioning in 2007. 8. Malay kampung. Coconot plantation. Yutaka ends up assaulting the Police Commisioner at the police station and escapes to the outlying regions of the town. He finds respite at a seaside Malay kampung or coconut plantation. The villagers are singing and dancing to a joget number. Yutaka, injured and downtrodden, wanders alone into a seaside Muslim cemetery, where he vows to avenge Shizuko’s death. By the way, this beautiful film sequence is accompanied by a Japanese version of a popular Indonesian song “Terang Bulan” (Malay for “Moonlight”), otherwise “incarnated” as an English song “Mamula Moon“. The melody of “Terang Bulan” was later used for the state anthem of Perak (for a rather amusing reason) and adopted as the national anthem of independent Malaysia (“Negaraku“). 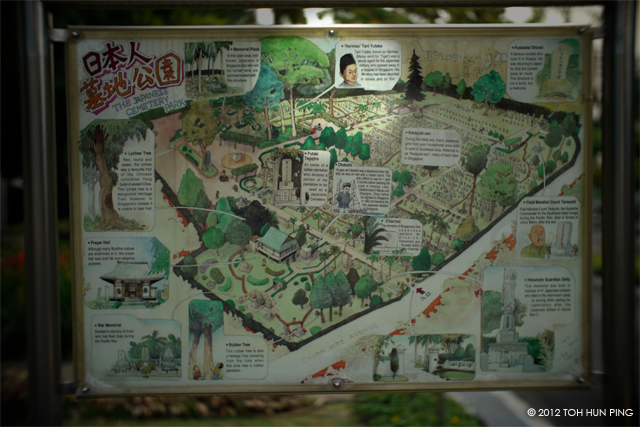 In the 1950s or earlier, there were indeed numerous Muslim cemeteries in Singapore that were situated by the sea, as the following map can testify. So, the above film sequence from “The Tiger of Malaya” could have been shot in Singapore, say on Pulau Blakang Mati? 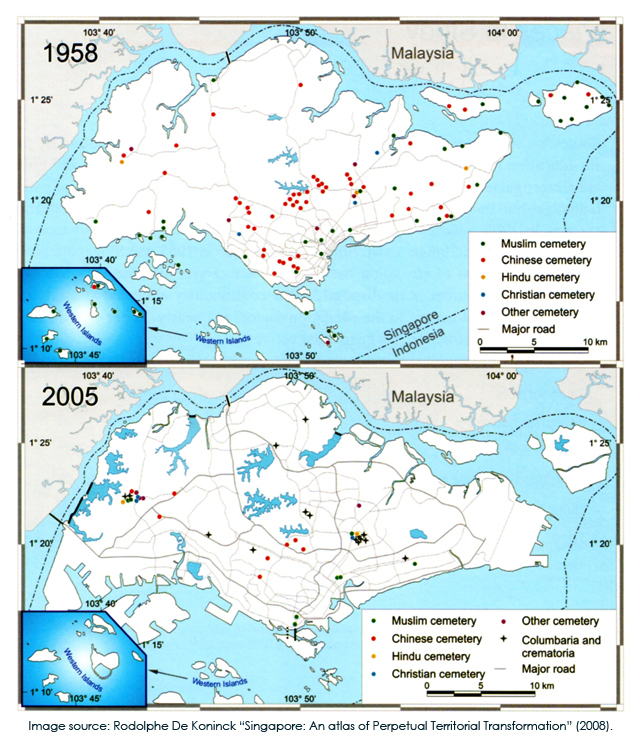 Two maps that show the distribution of burial sites in Singapore in years 1958 and 2005. 10. 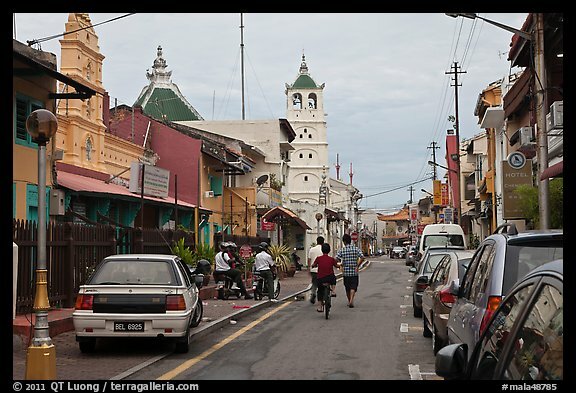 Malacca. Jalan Kampung Pantai and vicinity? Yutaka is nicknamed “Harimau” as he becomes a heroic outlaw and leads a group of Malays to rob the rich and the colonial ruling class, using their booty to aid the poor. In these film-stills, he is chasing after Chen Wen Qing, the murderer of Shizuko, within the network of shophouse streets. (Real location: Shophouse street in Malacca. Probably Jalan Kampung Panti. Studio. Chen is cornered and Yutaka finally avenges his sister’s death by killing Chen. Yutaka is eventually engaged by the Japanese military intelligence agency to conduct sabotage missions on British military operations. 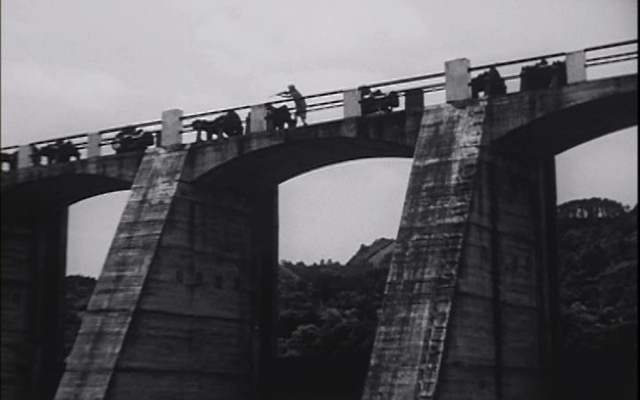 Here, he leads his group of Malay guerillas in a mission to defuse the bombs set up by the British at a dam across the Perak River — probably the Chenderoh Dam. The British army had wanted to destroy the dam so as to flood the plains and hinder the advancement of the Japanese troops in the Battle of Malaya. 12. Kuala Lumpur. Sultan Abdul Samad Building. Yutaka passed away after sustaining injuries during the sabotage operation at the dam. The film ends with (documentary?) shots of the triumphant advance of the Japanese 25th Army in the Battle of Malaya. 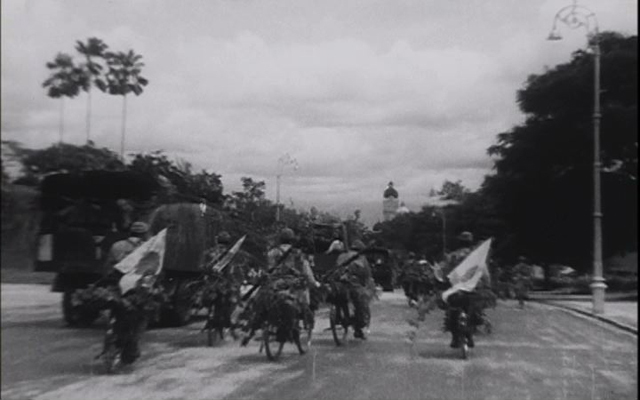 The final shot of the film shows the Japanese troops reaching Kuala Lumpur. Film-stills from “Fast Thief Harimao”. It is unmistakably shot in Angkor Thom, Cambodia. Harimao wears sunglasses and a white turban, looks and acts very differently from the Harimau depicted in the 1943 “The Tiger of Malaya”. This fast thief Harimao is a comic hero. The myth of Harimao has also “transmogrified” into other forms in contemporary Japanese popular culture. 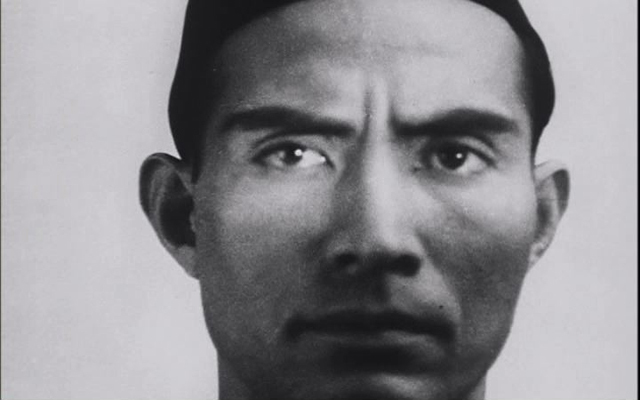 This website provides a good overview of the “Many Lives of The Tiger of Malaya”. The real life Tani Yutaka is believed to have passed away in a hospital in Singapore. That may be reason enough for him to be commemorated in the Japanese Cemetery Park at Chuan Hoe Avenue in Singapore. 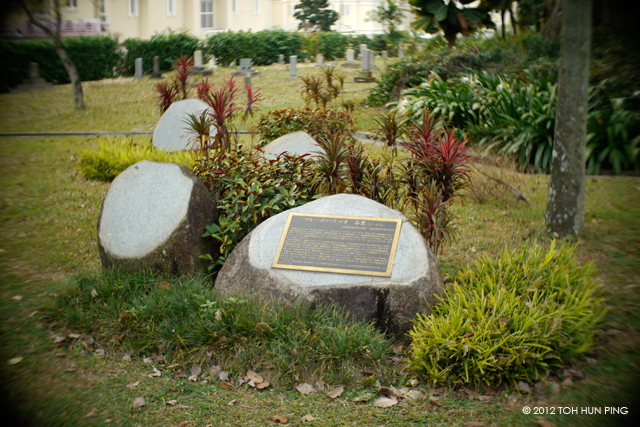 I have presented photographs of the cemetery park in an earlier post about the documentary film “Mare Senki”(“Malayan War Record”). 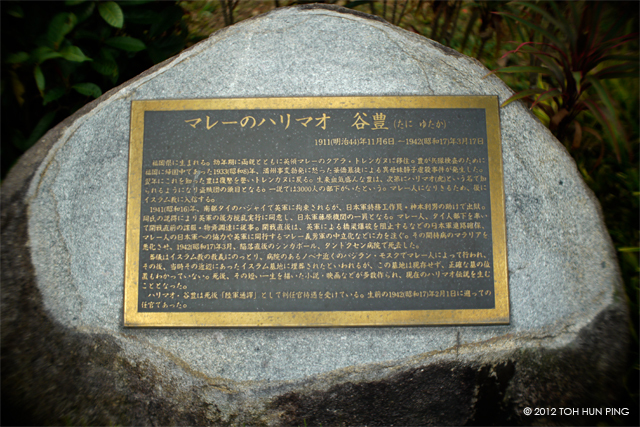 Tani Yutaka’s memorial stone is highlighted on the map of the Japanese Cemetery Park. Tani Yutaka (谷豊). 1911(Meiji 44) 6th November – 1942 (Showa 17) 17th March.